Rules about expert witnesses are set by state and federal rules of evidence, depending on whether your case is in state or federal court. 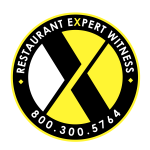 Restaurant Expert Witness – Howard Cannon has served as an Expert Witness in both State and Federal cases. According to the Federal Rules of Evidence, a qualified expert witness is someone who has knowledge, skill, education, experience, or training in a specialized field. These qualifications are generally also required of expert witnesses in state courts. Although a court has discretion to admit or exclude expert testimony, the law has developed certain guidelines that govern the contours of that discretion. Under federal rules, experts must base their testimony on sufficient facts or data of the type reasonably relied upon by experts in their field, in order to help the jury understand issues that typically require specialized knowledge. While non-expert witnesses can only testify about what they’ve seen or heard, expert witnesses are generally allowed to give their specialized or professional opinion. States have similar rules, though there are notable differences among states when it comes to the admissibility of expert testimony.